Along with tyres, brakes are the most important components of any vehicle, integral in slowing a vehicle down and keeping you safe, so as well as specialising in tyres we also provide a comprehensive brake servicing and replacement service at three of our branches – Hillsborough, Hunters Bar and Mosborough. Also as part of our tyre replacement service we carry out a visual check of your brakes as standard and advise as necessary. Whether the issue is worn down brake pads, brake disc deterioration, our expertly trained technicians can take care of it. 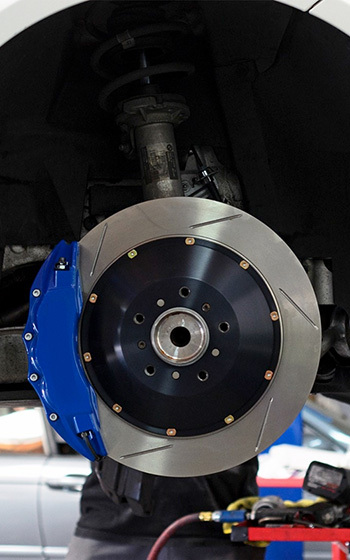 All brake parts are from the leading manufacturers and are fitted by our experienced technicians at competitive prices. © Copyright 2013-2018 Micheldever Tyre Services Ltd T/A Protyre, All Rights Reserved.